As we head into what is expected to be a frustrating Monday meeting at the Minnesota Public Utilities Commission (PUC) regarding the future of Enbridge Line 3, let’s pause for a moment to reflect on some recent wins. They are a reminder that this work takes years, allies continue the resistance, and we do have victories. Earlier this fall, a Canadian Federal Court of Appeals dealt a major set back to the proposed $9.3 billion Trans Mountain Pipeline. The project would carry tar sands crude oil from Alberta to British Columbia ports for overseas export. 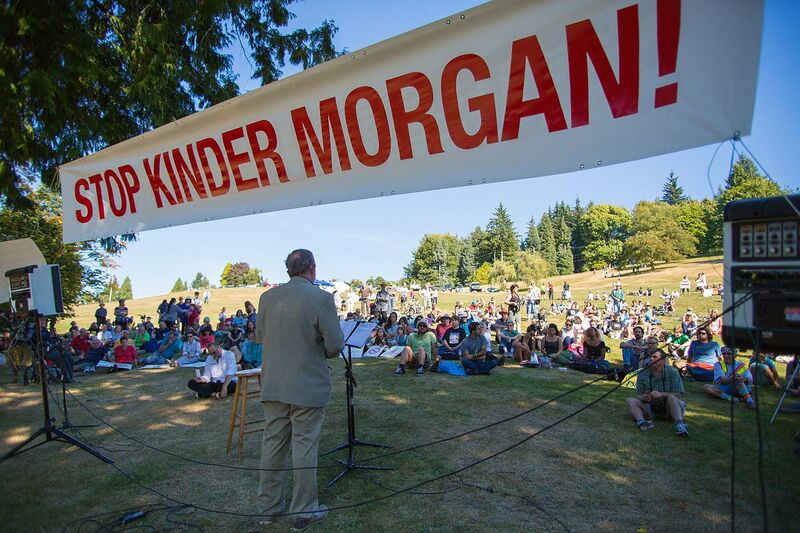 Kinder Morgan proposed the pipeline, which met with stiff opposition in British Columbia. The Canadian federal government tried to salvage the project by buying the pipeline from Kinder Morgan, a sale which is in process. Further, according to the story, the court said the Canadian National Energy Board failed to consider the environmental impacts of the increased oil tanker traffic the pipeline would generate. The Board was “legally obligated” to consider such environmental effects. Last week, a federal judge issued an order temporarily blocking construction of the Keystone XL pipeline, owned by TransCanada Corp. This is a major blow to the Trump administration. The Obama administration had stopped Keystone XL. One of Trump’s first actions as president was to sign an executive order reviving Keystone XL. Keystone XL would connect crude oil terminals in Hardisty, Alberta, and Steele City, Nebraska, carrying up to 830,000 barrels per day, Wikipedia says. The crude would ultimately end up at refineries in the Gulf Coast. 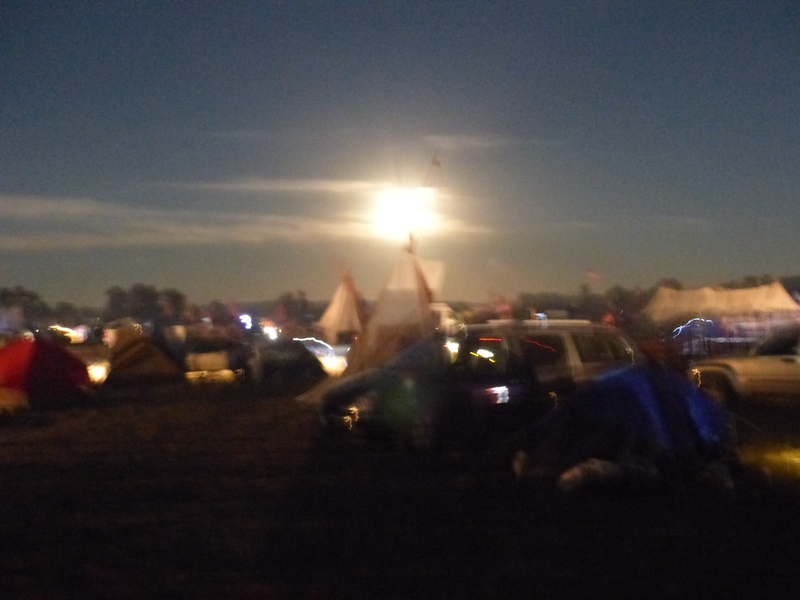 FILE: Moon rise at the Oceti camp near Standing Rock. (2016) DAPL opposition still goes on in court. Standing Rock and three other Native nations are continuing their effort to stop the now-operational Dakota Access Pipeline (DAPL), according to an AP story published earlier this month by KFYR TV in West Fargo. U.S. District Judge James Boasberg ruled last year that the Army Corps of Engineers had mostly complied with environmental law in granting DAPL its necessary permits, the story said. But the Corps needed to do more research on the pipeline’s tribal rights impacts. The Corps filed its response in August, and Standing Rock responded in court that the Corps analysis still came up short. “The [Native nation] continues to maintain that the only lawful way to resolve the matter would be through a full environmental study that includes consideration of route alternatives,” the story said. Like Keystone XL, the Trump administration tried to fast track DAPL approval through executive order. (See this article in The Atlantic.) Perhaps Standing Rock will have similar success in court as Keystone XL. As a post script to the updates on various pipeline projects, there is growing evidence that argues against increasing investment in oil infrastructure, including Enbridge Line 3. Alberta regulators have estimated huge liabilities for the clean-up of the Province’s oil-producing infrastructure, costs much higher than previously estimated. According to a Nov. 1 story in Canada’s National Observer, a high-ranking official with Alberta Energy Regulator estimated clean-up costs at $260 billion. The liabilities include costs that companies must assume to shut down aging and inactive oil and gas exploration wells, facilities and pipelines once they are no longer needed. 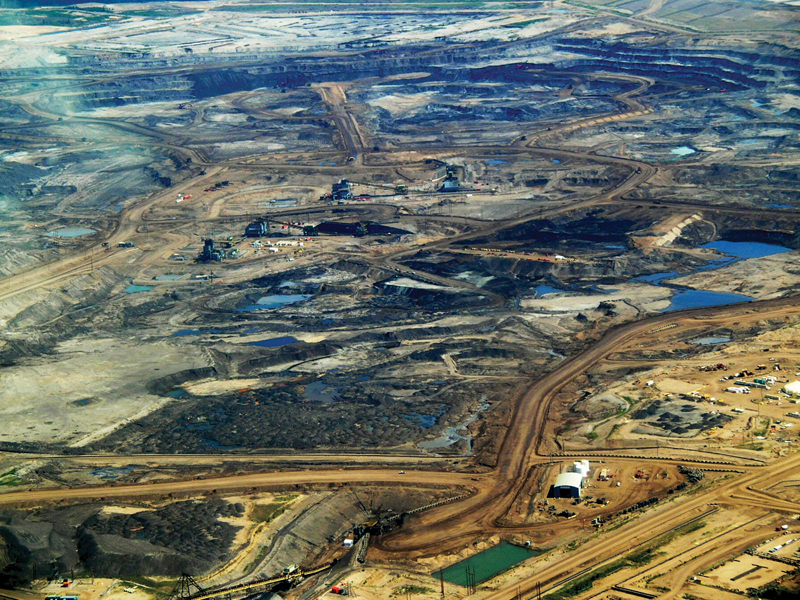 Another significant part of the liability is the clean-up of toxic tailings ponds from oilsands extraction mines near Fort McMurrray. Comment: This should concern the Minnesota Public Utilities Commission. It has required Enbridge to provide financial guarantees to pay for any future major oil spill clean up in Minnesota. If Enbridge has other future liabilities in Canada, are the assurances we are getting right now truly sufficient or will Enbridge simply try to walk away from Minnesota liabilities? Of these 307 incidents, 291 were crude oil spills, 9 were refined petroleum product spills, and 7 were highly-volatile liquids (HVL). These incidents led to the release of 66,059 barrels (2.8 million gallons) of hazardous liquids, of which nearly all (66,041 barrels) were crude oil. Of this total, more than 20% (13,410 barrels) was never recovered. Click on the link above for the report’s executive summary.